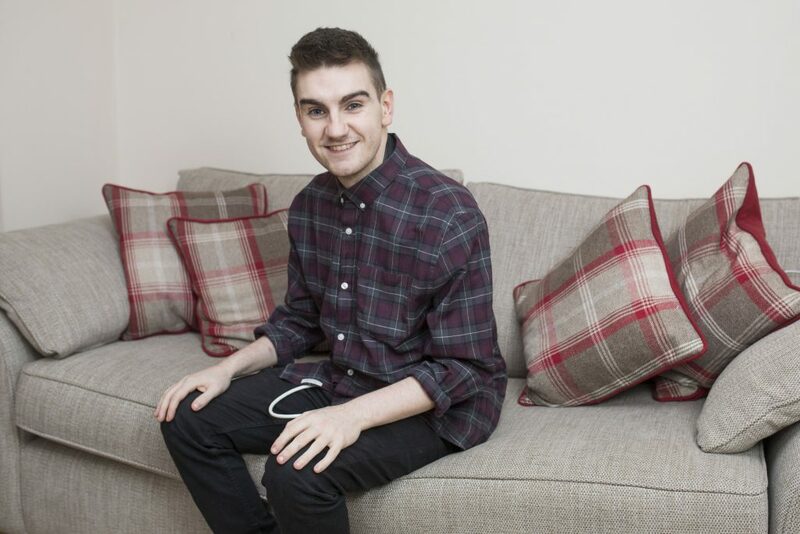 A 22-year-old man is the youngest person to be fitted with a mechanical heart pump to keep him alive – and he even has to plug himself in to charge up at night. 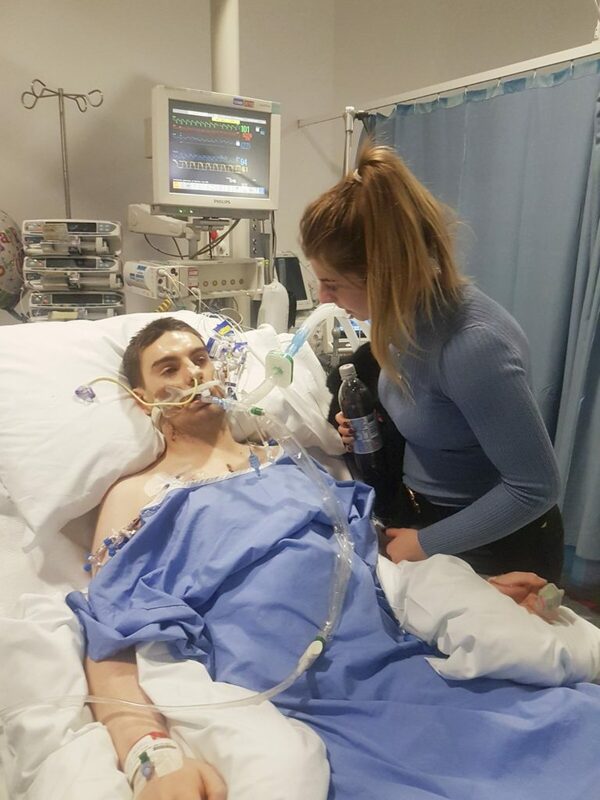 Jim Lynskey, from Redditch, Worcestershire, was left with dilated cardiomyopathy, also known as an enlarged heart, after he and his twin sister, Grace, caught viral meningitis at just two-weeks old. Jim is the youngest of around 100 in the UK to be fitted with the device and every evening plugs himself into the mains with a wire from a hole in his stomach. 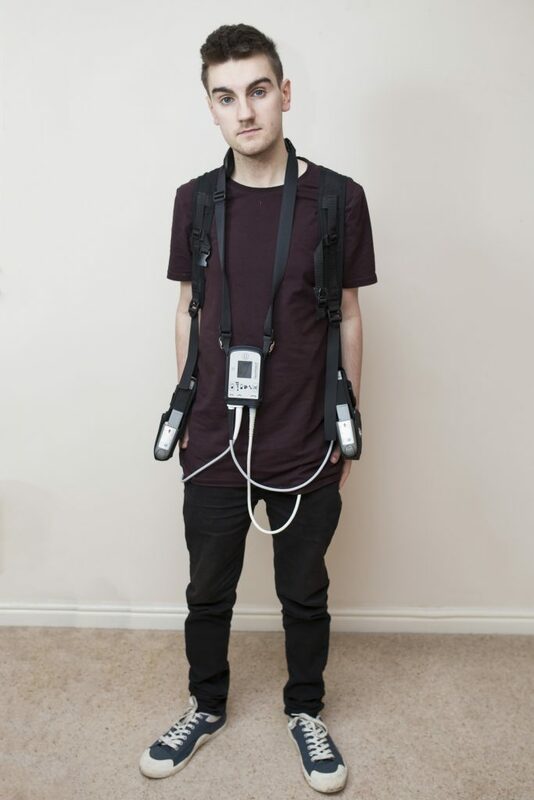 He has to carry two large battery packs, each lasting around eight hours, a small computer device, and spare equipment with him at all times and is on a priority service with his electrical suppliers in case of a power cut. The device keeps the weak left side of his heart pumping, to keep him alive, and an alarm will sound if it fails and emergency services need to be called. Jim said: “I have to plug myself into the mains electric at night whilst another machine charges the batteries. “If the power does cut out then a back up device will kick in for 15 minutes, giving me time to switch to batteries. “Having a shower can be tricky and I have to seal the batteries in a watertight bag. Doctors had predicted that Jim would not make it past his teenage years but lived a normal life up until that age of eight when he went into Ventricular tachycardia or VT and was resuscitated from two consecutive cardiac arrests. Jim said: “I had never experienced anything like that before and I was so young, it was very frightening. “I knew something very bad was happening. Jim underwent ablation, a procedure which involves getting rid of scar tissue caused by the enlarged heart, and was also fitted with an implantable cardioverter defibrillator, also known as an ICD. However nine years later, at 17-years old, Jim went into VT again for seven hours whilst playing football, being resuscitated for the second time and a month later was finally fitted with a Ventricular Assist Device, known as an LVAD. The device was fitted in February 2015 but in October, last year, the device which should have been failsafe, started to break down and Jim was rushed to Queen Elizabeth Hospital, Birmingham. 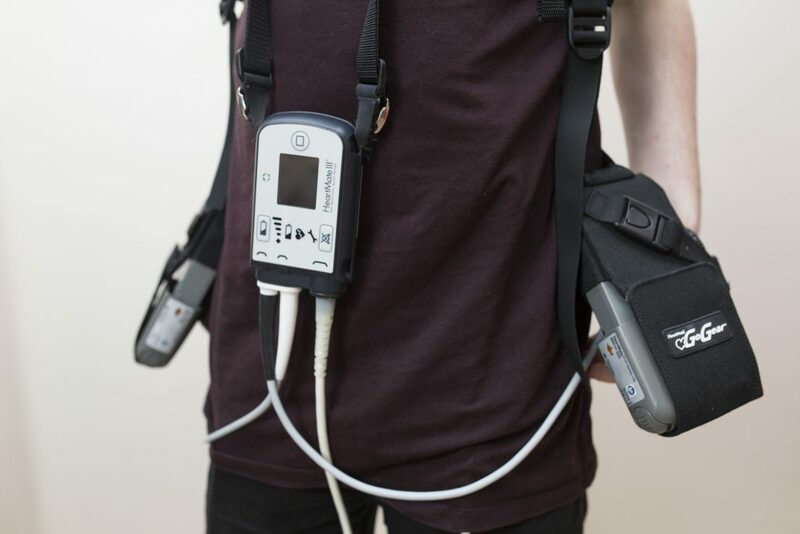 Jim was fitted with a new device but was told that the previous device had become embedded meaning it could be more difficult to perform a heart transplant in the future. Jim said: “Having only just undergone open heart surgery I will need to be fully recovered before being considered for a heart transplant. “I will probably go back onto the organ donation list in about two months, but the idea of a transplant is quite scary, if it doesn’t work then there is nowhere to go from there. Jim is now aiming to finish his degree in food and consumer management at Sheffield University alongside encouraging other to join the organ donor list. 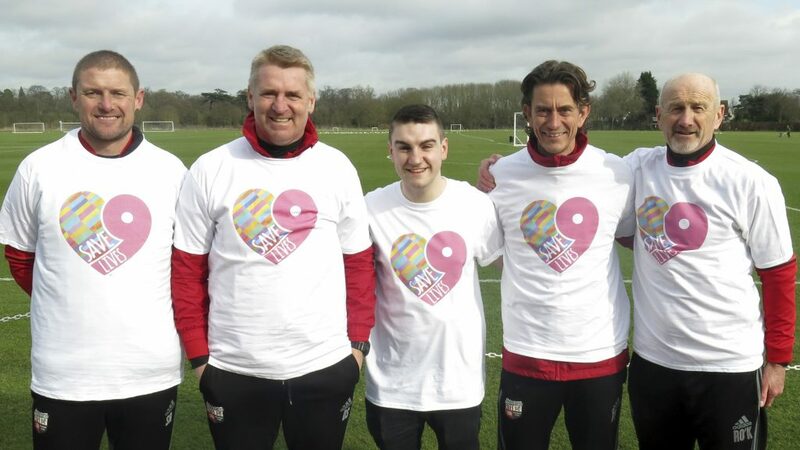 He is currently backing the Save9lives campaign, based on the fact that each person who signs up to the list could potentially save the lives of nine different people. Jim said: “I’m just so grateful to be alive, whether that is with the pump or with a heart transplant. “I’m currently doing talks at festivals and schools about the importance of organ donation and have started planning a few fundraising events. “I understand for some people it can be a very difficult subject and something I never thought about until I need a new heart as it can be quite depressing.